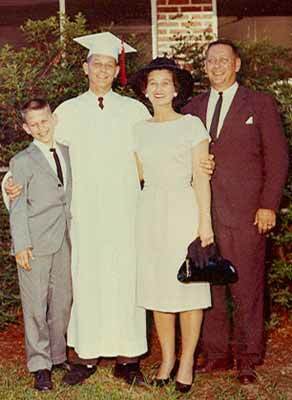 Photo of my brother Ed with me and my mom and dad at Charles Barnes high school graduation, 1964. Dad was 49 years old. Photo via Charles Barnes.